Wayne Sorge. Photo by Trevor Abes. Photo pictured by Sheldon Dawe. When former University of Toronto library technician Wayne Sorge died in 2008 due to complications from a series of strokes, he left behind objects and impressions that reveal an unrelenting curiosity. Music was Sorge’s life—he sang; taught himself to play guitar, bass, and harp; and combined his love of music with his interest in medieval history by taking up the lute. And he amassed an album collection that has been given new life through a series of public listening parties. 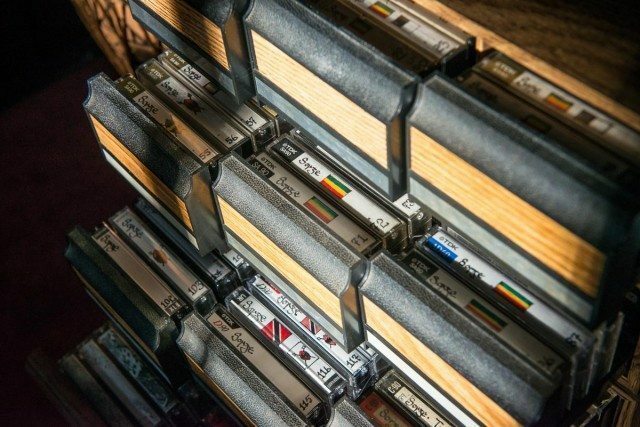 Later Wayne transferred his vinyl to cassettes, and mixed hundreds more tapes using the play-plus-record method of ripping songs from the radio. Throughout he showed a love for music from all over the world—much of it from artists with little more than regional exposure—and he categorized and preserved it with a meticulousness that reflected his library technician background. Wayne’s main focus was reggae. He listened to big-name artists such as the Wailers’ Peter Tosh and Bob Marley as passionately as he did to Truths and Rights, an ecologically conscious roots group formed at a community co-op in Regent Park in the late 1970s. When Sorge finished a tape, he would copy out the track list and draw the flag of the artist’s county of origin by hand. He’d then assign each tape a number corresponding to a master catalogue known as “The Red Book.” Photo by Corbin Smith. Music from Africa came second. He collected palm-wine music—a guitar-driven genre based on Trinidadian Calypso and Soca, and named for a drink favoured by Portuguese sailors who introduced guitars to Liberia and Sierra Leone. He also collected highlife—represented by A.B. Crentsil and King Sunny Adé—a Ghanaian pop music known for its jazzy horns and openness to North American and European pop song structures. Then there was township jive, which was the sound of illegal clubs in Apartheid-era South Africa called shebeens, spaces where black Africans could drink, dance, and talk openly without interference from police. His collection also included Byzantine and Gregorian chanting; classical music; Chinese rock and roll; Punjabi, Turkish, Japanese, and Celtic music; and a little opera (mostly Renée Fleming), as well as a four-cassette reading of The Hobbit. He created a series called Ear Pill, which he listened to when he needed to relax; it features comedy routines, Winston Churchill speeches, and some spoken word by Orson Welles. Sorge’s interests were many and varied. 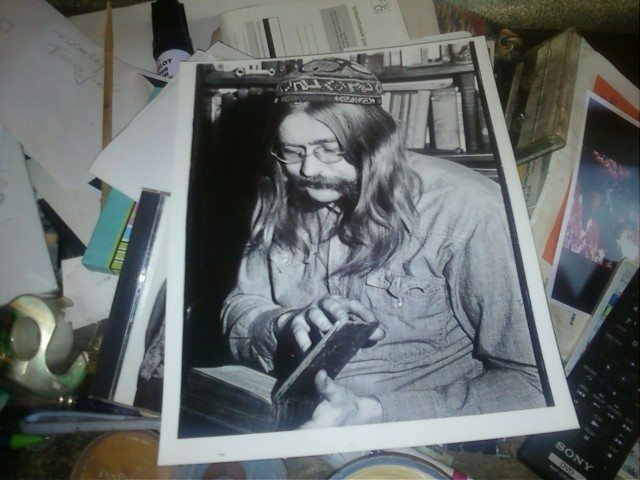 In his wife’s words, “Wayne was a renaissance man, well-travelled, well-read, loved music, loved people, never held a grudge, and always got along with his ex-girlfriends.” He was also a writer and a self-professed political junkie. An off-shoot of his passion for politics was his co-founding of a group called The Canadian False Nose Society, which assigned false noses to each of its members. The idea was to point out a problem with Canadian identity: that if you went to the trouble of wearing a false nose in public, few would feel comfortable enough to ask you about it simply because they were Canadian. At Wayne’s wake they had false noses for anyone who cared to wear one. Sing Leaf’s David Como. Photo by Corbin Smith. Now, thanks to a local musician, more Torontonians will have an opportunity to enjoy Sorge’s collection and his passion for music. This summer Mary made a trip to her local LCBO and struck up a conversation with David Como, a member of the experimental folk band Sing Leaf. They began by commiserating over the Blue Jays but eventually got around to talking about music. David expressed his interest in world music—particularly that from Africa—and Mary suggested he might be interested in her late husband’s collection. 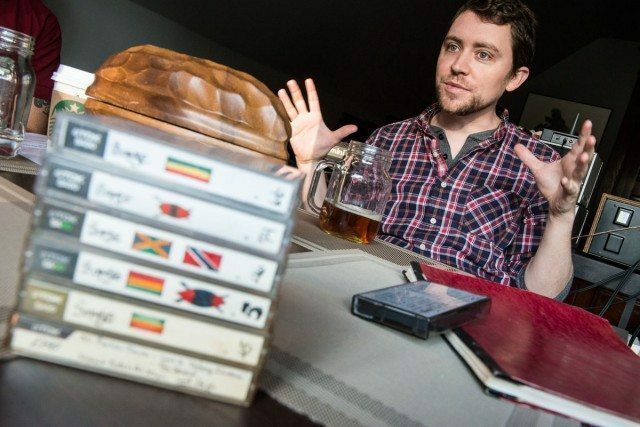 David ended up taking home dozens of records and roughly 200 tapes. He was so impressed that he decided he wanted to share them with the city. And with that Go Easy With Me—a series of listening parties held at Holy Oak Cafe and starring Wayne’s library—was born. The third instalment will take place on November 14 at 10 p.m.